Conference 2018 was held in Christchurch Friday 27th – Saturday 28th July at The Piano, 156 Armagh St, Christchurch Central, Christchurch 8011. There were crown and bridge and prosthetic workshops on the Thursday 26th July. The Thursday also included a business day with topics such as buying and selling business’s, a chance for students to meet potential employers, financial planning, job costings etc. Friday and Saturday held our main conference with speakers on a variety of topics including achieving stabilizing and suction of lower dentures along with crown and bridge. The Gala Dinner which was held at the Art Gallery on Friday. If you wish for a hardcopy of the conference registration form Conference registration form 2018 pdf. For information on the workshops also check out Dr Frank Zimmerling or Olivier Tric below. Conference & Workshop registrations now closed. The day will end with an hour to ‘meet the students – speed dating’ for future job prospects and holiday placements from 4.30pm at the Piano with an optional pay for your own dinner at Bamboozle later. Join Olivier Tric for a work shop and experience his philosophy, methodology and passion, and master his techniques. He believes using lithium disilicate (LiSi Initial) to fabricate crowns is an excellent restorative solution for approaching the beauty of nature. Thus he will be describing in detail framework design to ensure high strength and longevity of the crowns and will demonstrate different layering techniques for different teeth and ages of patients. He will also be sharing his practical photography knowledge for excellent and accurate shade taking and communication. This will be an intensive day, covering all the key steps in the fabrication process while also encouraging the attendees to ask questions throughout the day to facilitate discussion and exchange. Everyone will have a chance to provide insight and their own experiences, and Olivier will be providing tips and tricks to achieve the quintessence of the optical properties of this innovative and modern material and to solve any situation you may encounter in your own laboratory. Be there early for an 8.30am start ends 4.30pm. Advanced Ceramics 234 Kilmore Street Christchurch. This workshop is in two parts and is aimed at clinicians and technicians who are wanting to know more about how to achieve suction with a mandibular denture using Dr. Abe’s techniques (SEMCD) and a step by step guide on how to change from our analogue world to the digital world. The first part is demonstrating the clinical steps on a patient incorporating how to achieve suction using Dr. Abe’s “Suction Effective Mandibular Complete Denture”. You will be able to practice these principles and techniques in your daily practice. You will also gain an understanding from a clinical perspective what can be done digitally, what needs to be done analogue and the shape of things to come. The second part is demonstrating the technical steps and how we can change from the analogue world to the digital world. You will be guided through the step by step process. You will be able to see and use this digital equipment. Duchenne Dental 236 Springfield Road Christchurch. This is the first time we have had a specific workshop dedicated to our business aimed at students entering the workforce, employees, and laboratory owners. It is hoped that we can build on this and integrate a business section into our conferences on a regular basis. For the students it will be an opportunity to meet prospective employers when you graduate or are looking for holiday work. You may wish one day wish to open or purchase a laboratory. Held at the Piano 156 Armagh Street Christchurch. afterwards Optional – pay for your own dinner Bamboozled some are heading to 151 Cambridge Terrace 6 minute walk for dinner. 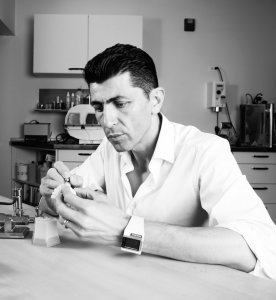 11:40 – 12:40 Keynote – Olivier Tric The Alchemy of Dental Technology; Part 1 – An objective analysis on the current challenges faced by dental technicians. 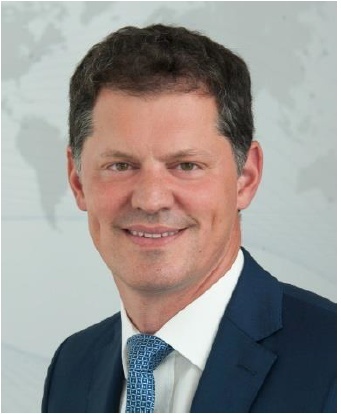 1:40 – 2:40 Keynote – Dr Frank Zimmerling – Ivoclar Digital Denture Applications – different approaches, indications, including Dr Abe’s SEMCD technique. 2:40 – 3:00 Otago University DCT student presentation – Ali Aman Rehabilitation of an edentulous patient with non-attached mandibular mucosa and a flabby maxillary ridge. 6:00 – 6:30 Trams to the Gala Dinner 2 Trams with carriages one departs at 6:00pm the other at 6.30pm from stop 17 New Regent Street see programme for map. 8:35 – 9:20 Craig Metcalfe and Jim Collins – AMS Metal Sintering – What is it and what are the Implications for our future? Outcome delegates gaining an understanding of the digital denture workflow and what is required. Demonstrating the different approaches for different indications giving an overview of equipment, materials and Digital strategy’s. The profession of Dental Technology is in the middle of a metamorphosis. In this lecture Olivier Tric will offer insights on the current trends and the direction the dental profession is taking. He covers his recipe for achieving excellence on a daily basis through an extensive analysis of his clinical cases. He also defines his strategy for longterm success that will help you reach a new level in your work quality, efficiency, marketing, and communication. Olivier Tric began his studies in France at the College of Leonardo De Vinci and the University of Pharo while concurrently pursuing an apprenticeship in Dental Technology. 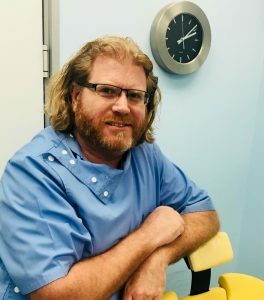 After a 5 year apprenticeship, he launched a 15+ year career devoted to a thorough understanding of the principles of dental aesthetics and the mastery of specialized techniques in dental laboratory technology. His specialties include all facets of porcelain restorations on both natural teeth and osseointegrated implants. He is recognized by his peers as a pioneer in the industry by developing new and unique methodologies that are taught worldwide. 2017. Olivier also serves on the Editorial Board for Spectrum Dialogue, and Teamwork Magazine. 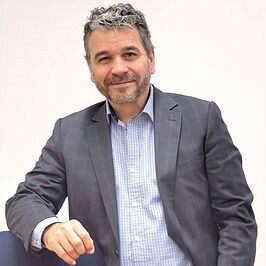 His professional affiliations include Design Technique International (DTI), Oral Design International Foundation, and others. Mr. Tric is a highly respected lecturer and educator, teaching hands-on courses to dentists and technicians throughout the United States, Canada and Europe. He is regularly consulted by leading Dental Manufacturers and Laboratories for input on new product development. He currently operates Olivier Tric Dental Laboratory and Educational Center in the Chicago suburb of Elmhurst, Illinois. 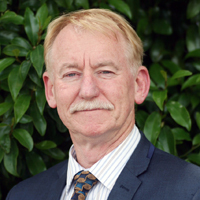 John Batchelor has been involved in dental technology since 1979. 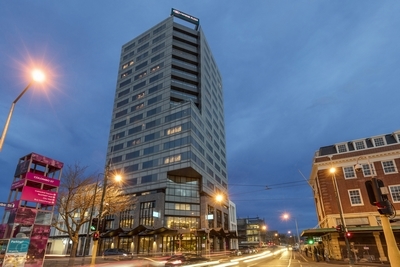 His company Duchenne Dental Services is situated in Christchurch New Zealand employing a team of 25 in the areas of clinical dental technology, orthodontics and prosthetics. He has lectured in Australia and New Zealand. A fundamental philosophy of Duchenne Dental Service is to keep up with trends and technology ‘s along with passing gained knowledge on via their teaching facilities. He is married to an orthodontist and has two children. Over the past six years he has been watching the trend of the digital age on dental technology while integrating the digital work flow into their orthodontic and prosthetic practices. Occlusal Therapy for the Edentulous Patient – When to use and How to adjust with case studies. His passion for continuing education has kept him at the forefront in the field of Dental Prosthetics. He has travelled to Japan to study the teachings of Dr Jiro Abe and has become a Dr Abe SEMCD Instructor. He has also completed the Implant Overdenture course, Swiss Denture Concept course, the CQR Denture Technique course and has lectured locally as well as overseas on Occlusal Therapy for Edentulous Patients. Ali Aman originally from Afghanistan moved to New Zealand in 2002 . He is currently pursuing Postgraduate Clinical Dental Technology studies at the University of Otago. He also has a wide interest in crown and bridge and orthodontics. He graduated high school with involvement in the Board of Trustees, national under 16 football representative squad and Deputy Head Boy. He got awarded a University of Otago Alumni Scholarship in 2014 and started first year dental technology in 2014. 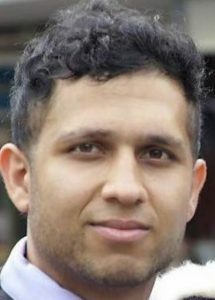 Throughout his university years Ali has been actively involved in the Muslim University Student Association as well as being an Ambassador for Dental Technology, promoting dental technology within the wider community and schools. His passion to learn is exemplified in his recent International Association of Dental Research publication. While studying dental technology Ali Aman has been keeping active during his university breaks working in Melbourne and Christchurch labs to expand his skills. In the future, he hopes to form a charitable organisation promoting dental health care to help those less fortunate members of the community, both locally and internationally. Ali’s main goal is to continue to learn and deliver his patients the best he can offer. Wet or Dry Milling – What are the indications, advantages, disadvantages, Amann Girrbach denture system including the shape of the future including partial denture design and manufacture. 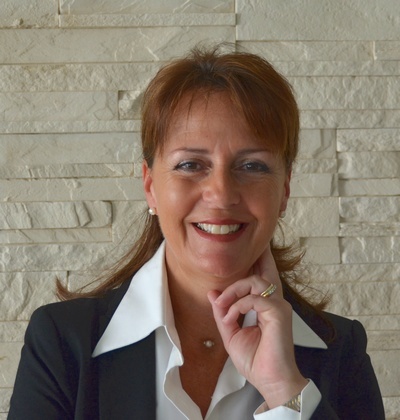 Judith Zwenger is Regional Director of Amann Girrbach Asia Pte Ltd for Asia-Pacific, India and Australasia Regions. In her capacity as Regional Director she has overall responsibility for Amann Girrbach’s entire business in those regions. Before Amann Girrbach re-structured the management team in June 2012, Judith represented Amann Girrbach as regional manager in South-East Asia, Australia, New Zealand, India, Pakistan as well as the Middle East region. Judith lived in Singapore for 7 years from where she established Amann Girrbach’s sales and distribution infrastructure in Asia Pacific and the Middle East from 2004 to 2011. In 2011 Amann Girrbach Asia Pte Ltd was established in Singapore. Previously Judith lived in Japan for 2 years where she supported the Amann Girrbach distributors as a consultant. She started her career at Girrbach Dental Company as sales representative in 1995 and was promoted in 1997 to Product Manager covering Western Europe until her relocation to Japan in 2001. Judith is a graduated dental technician who studied dental technology in Koblenz, Germany for 3.5 years before working as dental technician and lab manager from 1984 to 1994 focusing on C&B works and specialized in ceramics and comprehensive telescope and implant restorations. She has also been a lecturer at Dental Universities and distinguished speaker at dental conferences across the Asia Pacific and Middle East Regions. Maximum customer satisfaction and a constantly increasing number of partners in over 90 countries worldwide speaks for itself. Amann Girrbach has long since proved itself in the global dental sector as a guarantee for the highest quality innovative material, excellent quality products and sophisticated system solutions. Metal Sintering – What is it and what are the Implications for our future? To France and back again in seven days, not a hobbit’s tail. Jim Collins and Craig Metcalfe will take you on a journey of additive technology. Discussing dental and other applications, they will look at how additive technologies apply to manufacturing in New Zealand. They will explore production methods and finishing techniques. Discussing their experiences and challenges, they will offer an insight to possibilities for the future that will help dental laboratories considering digital dentistry and how this can be incorporated into their practice. 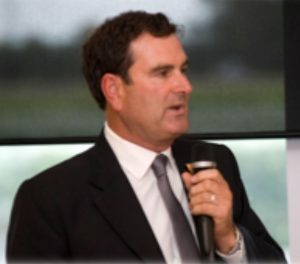 Jim Collins is the 3D Strategic Sales Manager at Fuji Xerox New Zealand and has been a member of the Fuji Xerox team for over twelve years. He started his career at Fuji Xerox as an engineer and now specialises in 3D manufacturing solutions and commercial applications. 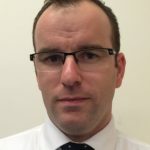 Jim works with a broad range of industries and brings in-depth knowledge of how 3D technology is utilised in manufacturing parts and equipment. 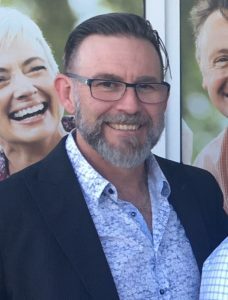 Brent was one of the first three to qualify through the new clinical program at the University of Otago in 1999 where he graduated with distinction. Brent has been practicing in private practice for 18 years and has been involved in many aspects of the dental community including the development of a clinical software program to help clinicians maintain their competence, compliance and patient management care. 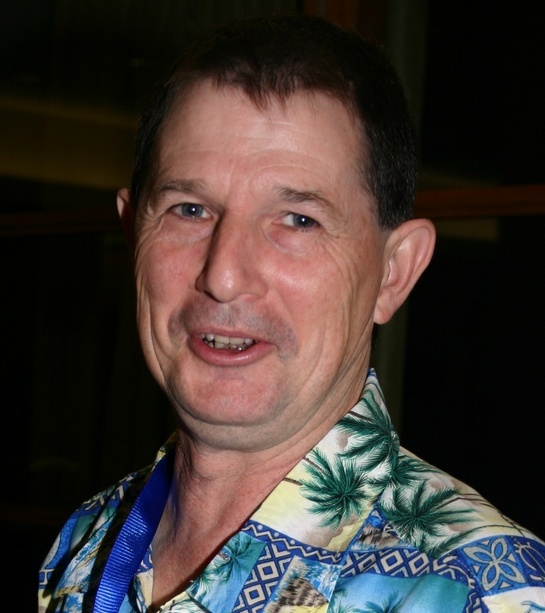 David trained as a Dental Technician, graduating in 1986. Working in Commercial Dental Laboratories learning all aspects of Dental Technology a passion for Prosthetics developed. In 1992 David graduated as a Dental Prosthetist, and has been working in Private practices or the past 25 years, with his wife and business partner, Kim, successfully running two Practices and a Dental Laboratory. On going professional development lead to educational opportunities resulting in David becoming an accredited Clinical and Technical BPS Trainer following successful examinations in Schaan, Liechtenstein. Recently David was accredited by Dr Jiro Abe as a Clinical SEMCD Trainer, which will lead to SEMCD courses being held in the Byron Hinterland of Australia, the place David and his family call home. 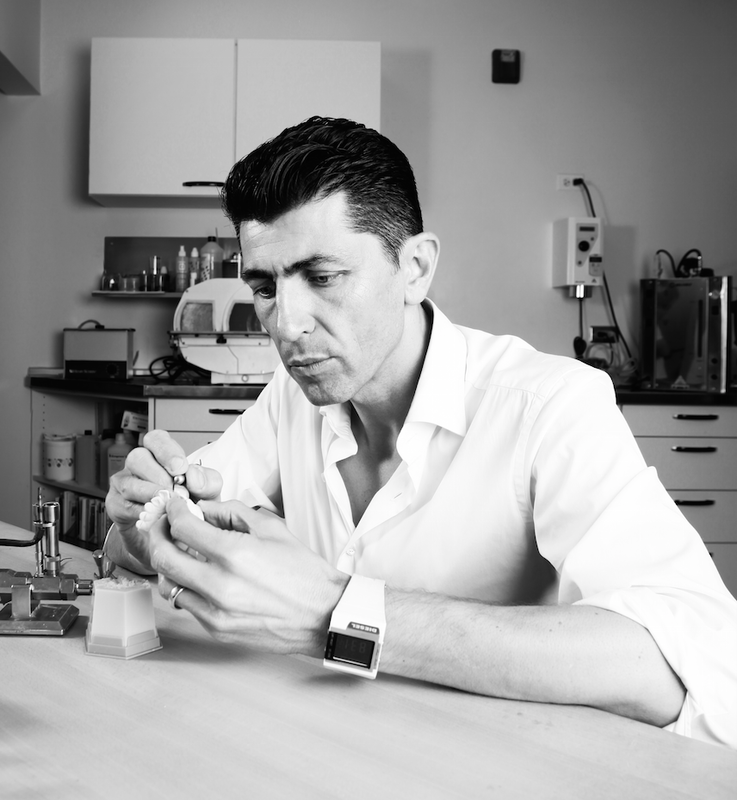 Matteo Moro is a master dental ceramist, owner of the dental atelier icon.moro in Wellington. Specializing in anteriors and implant all ceramic restorations with a bio-emulation approach focused in the customisation of each case. layering technique and build-up style. Damien is the working Partner at Tabak Christchurch and has 30 years’ experience across a wide range of sectors including financial services, manufacturing, import & distribution and IT. 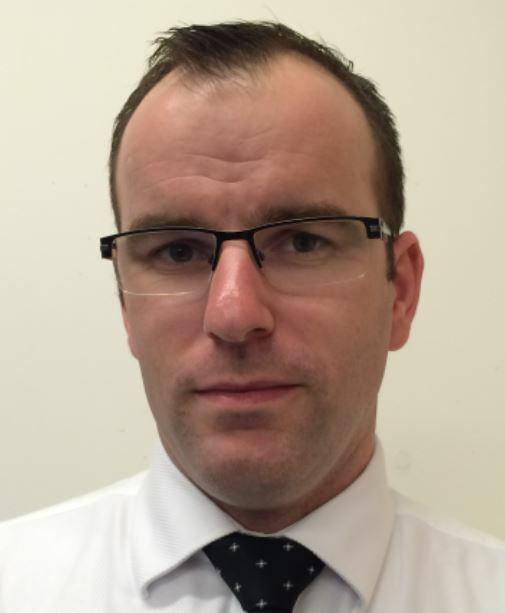 Damien’s background strengths are in business development and business analysis. He enjoys building relationships with buyers and sellers, and brings the empathy of a sales person coupled with the objective reality of a business analyst. 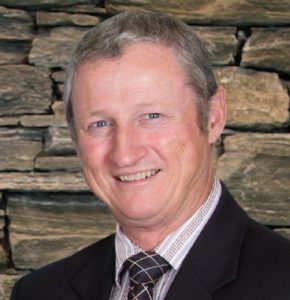 As the working partner at Tabak Business Sales Damien has overseen or been personally involved in the sale of more than 150 businesses, valued at around $85 million – and has been involved in the business sales industry for over 13 years. 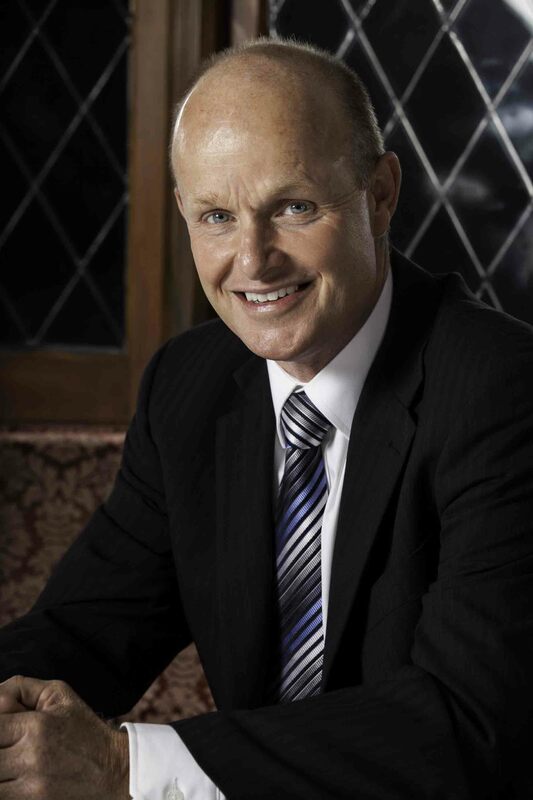 Mark maintains a very real connection with business through his role as a Director of Bishop Toomey and Pfeifer Chartered Accountants. 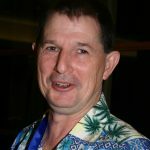 He has been a member of Business Network International (BNI) for over 15 years, and was the inaugural president of the first BNI (Business Network International) chapter in Christchurch and went on to form a second chapter. He is a former Dale Carnegie instructor in the ‘Human Relations and Effective Speaking’ course as well as a past President of the Christchurch chapter of National Speakers and recently qualified as an Evernote Certified Consultant. bringing quality and leading edge technology to their industry has served Karl well. were key in achieving success. I started work at Norwich Union which in the day was the corner of Hereford and Manchester-since fallen down. After Norwich joined Royal Insurance in Christchurch but transferred to Wellington in 1985. Health Professional Services Ltd was established in 2003, as a financial planning business for doctors, dentists, veterinary and specialist medical professionals across the country, with a bias for tailored investment solutions. Munro Financial came about soon after, as a wider part of the community identified with the independent investment advisory services on offer. Tony is an Authorised Financial Adviser (AFA), also licensed by the Financial Markets Authority (FMA) to provide a Discretionary Investment Management Service (DIMS). The difference between branding and advertising. Jeremy has over 30 years’ experience working from both client and agency sides. 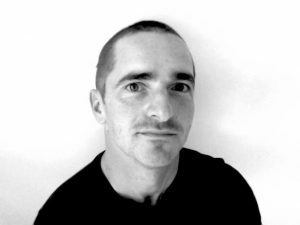 He has worked in large national advertising agencies and has also been National Marketing Manager for large NZ companies such as Coca-Cola, Hertz Rentacar and Arthur Ellis. For the last 24 years he has established and run Directions Advertising, a full service advertising agency, handling local and national advertisers. Identifying a strong unique proposition and placing that in front of a carefully selected prospect has never changed. A two minute walk to The Piano. 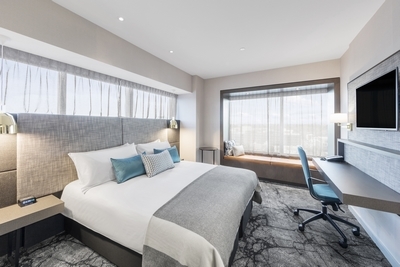 Crowne Plaza Christchurch hotel is a new 4.5 star hotel located in the heart of Christchurch city that combines what’s really important – comfort, style, technology and free Wi-Fi in all hotel areas to help keep you connected. We are the perfect base to explore, whether you’re here for business, pleasure or a little bit of both. Use NZIDT as the code for bookings. To facilitate the advancement of Dental Technology in a way that promotes the mutual respect and abilities of our members in a proactive way. To study, promote, maintain and protect the skills and interests of its members and to improve the standards of those skills and of the services provided by its members to the community via their employees, the dental profession or direct to the public; to raise and maintain the standard of clinical dental technicians and dental technicians in the community. To promote a spirit of co-operation amongst its members, and to reconcile any differences that may arise between the various factions that make up the field of dental technology. To encourage an adequate intake of recruits to the industry by maintaining an interest in the development and administration of courses in dental technology and clinical dental technology by means of liaison, and co-operation with any education or training institution involved in such courses of training. To co-operate with other members of the dental team.